LOL surprise dolls are as popular this Christmas as they were last year. Parents found themselves in a mad dash this time last year to stock up on the 'must have' toy. With the major element of the LOL Surprise being that you don't know what is inside a lot of mums and dads found themselves disappointed on Christmas morning with the contents. 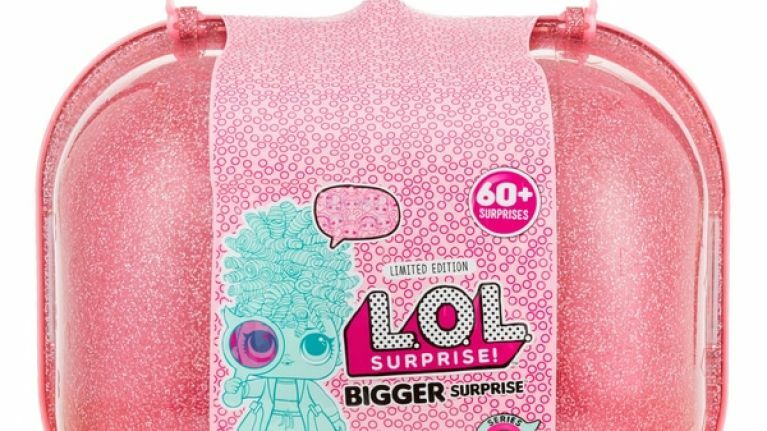 Some parents took to social media to share with others what you can expect to receive, with one mum posting only recently about the LOL Bigger Surprise. Natalie Harrison posted a photo of the contents of her child's LOL Bigger Surprise box which retails in most Irish stores for €100. Though Harrison herself kept her post neutral, stating neither disappointment or delight with what was inside, commenters to the post were much more opinionated. "My god thank god I didn't get it yet !! No way"
"Stupid prices for what you get." "Not worth the money at all." Some parents felt like they were stuck between a rock and a hard place and wrote that it was all that their child wanted for Christmas and they didn't want to upset them, even if they themselves didn't think the contents were worth the price. To be honest I'm sure it's not the only toy that parents wish they didn't have to splash out on and I know there has been many a toy my son has asked for that I thought 'really that price for that?'. Nevertheless the LOL Surprise toys, including the new house, are still high on most Santa lists this year. Do you think the price matches the contents and will you be buying one this Christmas?